The UK - and chiefly the financial center of London - has been accused of legitimizing "dodgy dealings" and being "at the heart of the world's largest web of tax havens" as the European Parliament committee investigating money laundering, tax avoidance and tax evasion, starts a probe into the city, Sputnik has been told. The European Parliament has been holding an inquiry into the use of tax havens to launder money and avoid tax, ever since the Lux Leaks, Panama Papers, Bahama Leaks and others exposed the sheer volume of money being channeled thru offshore tax havens. Members from the European Parliament's Committee of Inquiry into Money Laundering, Tax Avoidance and Tax Evasion (PANA) traveled, February 10, to the United Kingdom in the first of a quartet of fact-finding missions to learn more about tax havens. 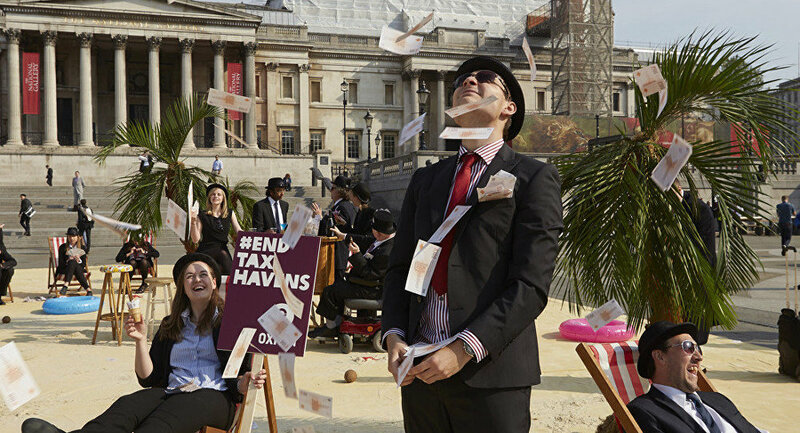 "The UK government talks tough on financial transparency and tackling tax dodging, yet in reality it has legitimized dodgy dealings and fails to take strong action against the UK's tax havens. 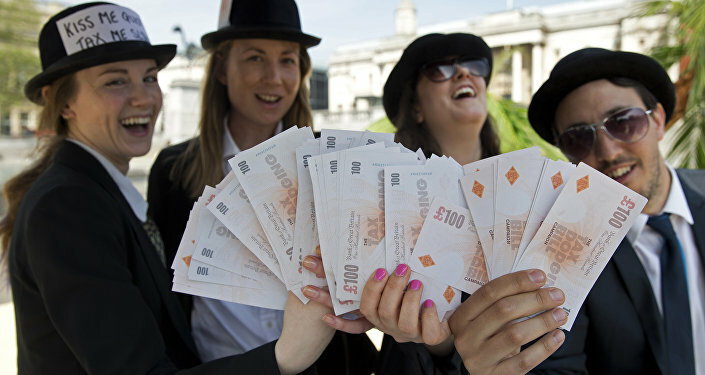 The murky world of tax dodging is being shielded behind the desire to keep London as a global financial center post-Brexit, benefitting the global elite," War on Want's senior economic justice campaigner, Owen Espley, told Sputnik. "Meanwhile, public services are underfunded, suffering from ever greater privatization and attacks on public sector workers"
A recent report from Transparency International UK said that — despite outward appearances — companies based in the UK's Overseas Territories (OTs) and Crown Dependencies are widely used in money laundering and grand corruption cases. These include the British Virgin Islands (BVI), the Cayman Islands, Bermuda, Jersey, the Isle of Man, Montserrat, among others. ​"The UK is at the heart of the world's largest web of tax havens and is intricately connected with the world of offshore finance. The Panama Papers showed that in no other European country are intermediaries more active than in the UK. Bermuda, Cayman Islands, British Virgin Islands — a list of who's who of global tax havens are thriving under the auspices of Her Majesty's Government," said Fabio De Masi, vice-chair of the PANA committee." "And it's not just money laundering and tax: Europol's cross-examination of the Panama Papers with their counter-terrorism finances database flagged up the UK financial system as having one of the biggest concentration of suspects with more than 3500 hits," he said. ​Recent analysis of thousands of leaked documents by the Tax Justice Network has found that the UK is among the leading bases for big banks, accountancy and law firms which act as intermediaries in moving money and assets around the globe. "Tax dodging is not a petty crime and it ravages our budgets. The UK is also undermining our work on the EU's tax haven blacklist by preventing strong criteria for screening. Its government has already announced its intention to go further down that route post-Brexit and lower tax rates to a minimum. The EU must get tough on tax havens and introduce hefty withholding taxes against non-cooperative jurisdictions as well as withdrawing the licenses of banks and lawyers that continue to aid tax dodging," De Masi said.